A few days ago the newspaper El Financiero published an article that talked about the price of the agave rising in the next months. If you like tequila as much as we do this topic is of your interest, we translated the article and you can read it below. Even though in January of this year the kilo of the piña of agave was priced in 3.50 MXN, its current price is 10.50 MXN, that means the price of tequila could increase between 5% and 10% in the next months; said the Cámara Nacional de la Industria Tequilera (CNIT). “It could be that the price of tequila increases between 5% and 10%, and it will be happening during the next few months starting now and maybe during the first semester of 2017”, mentioned Luis Velasco Fernández, CNIT president. The reason, informed Raúl García Quirarte, president of the Sistema Producto Agave-Tequila, is that last January the price for one kilo of agave was 3.50 MXN but now it’s selling for 10.50 MXN. The challenges for the different tequila brands will variate because some of them have their own agave fields, which allows them to contain the increasing prices, while others depend on external suppliers, explained Velasco. 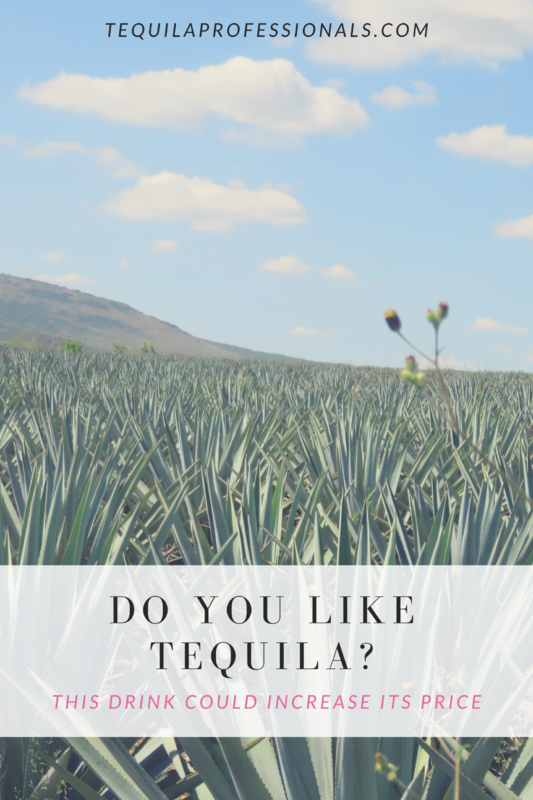 Various factors have come together to make the raise in the price of agave so drastic, but the fact that the tequila industry is not the only one consuming this product is important to consider. The piña of agave goes through a process that as a result produces syrup and inulin, these substances are used in a lot of industries, especially the food industry, which competes with the tequila makers to obtain the agave. “The consumption of inulin and agave syrup has increased, they’re associated with the intake of blue agave sugar”, said Quirarte.According to Quirarte, about 50 million agave plants are consumed each year, 35 millions are bought by near 140 tequila distilleries, while the other 15 million are purchased to make agave syrup and insulin. But 10 years ago, the purchases of agave by the food industry companies were almost non existent. Nevertheless, the CNIT estimates that there are other industries that consume around 4 million agave plants a year, but they’re young and small so a precise quantification of this sector’s consumption is difficult. The birth of the inulin and agave syrup industry was a result of the overproduction of agave that occurred about 10 years ago, the amount of agave available was so much that people started looking for other uses for this plant. During that time one kilo of agave could be purchased in less than one peso. “It is not healthy because every 10 years the same happens to us due to diverse factors, there’s an overproduction of agave and then a period of shortage, we have been trying to achieve a balance”, Quirarte said. Also, the popularity of tequila has increased the amount of agave needed for its production, every year more people around the world enjoy drinking tquila according to data from Euromonitor. Some mezcaleros have started using agave cultivated in Tequila, Jalisco, as well as the other 4 states with the designation of origin due to the increasing popularity of mezcal.